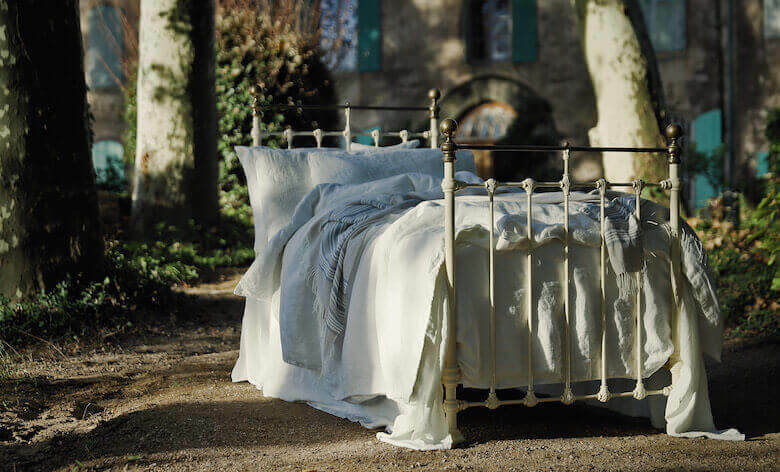 This week we thought we’d share a few examples of how our beautiful pure linen bedlinen and accessories can make your bedroom a truly stunning space. We know that sometimes you might feel like a splurge or want an investment piece, and other times money might be a bit tight. So here are some easy bedroom looks for every budget. If you fancy a change but don’t have the time or energy for a full-scale room redecoration, a few new pieces can transform a bedroom from tired to Insta-worthy with no fuss. Linen bedlinen, cushions and curtains are the perfect solution, offering luxe looks at affordable prices. If you’re working with an existing colour scheme choose tones that complement the palette, and if your space is neutrally decorated then play with colour and texture to really change things up. Soft yet substantial, luxurious yet understated, and everlastingly comfortable: give your bedroom a 5-star hotel makeover with a new set of pure, highest quality linen bedlinen in off-white. Keep things crisp and formal by ironing your bedlinen, and offset with a cosy throw in a complementary shade to add a superfine finish. Now all you need is for someone to bring you breakfast in bed for a truly indulgent hotel-style morning! If you prefer something a bit more relaxed yet still want a luxe look, go for soft stonewashed linen bedsheets, pillowcases and duvet cover. Leave in their naturally crumpled state but add a linen throw to bring the pull the room together. We love this pale taupe bedlinen set paired with a darker throw to create a calm, sleepy space that retains its high class appeal. Slipping into bed between pure linen sheets is a proper treat. So, even if the washing is piling up or you’ve forgotten to take the bins out, you can go to bed in the dreamiest, most luxurious way. It’s the perfect way to up the style stakes without even having to try. 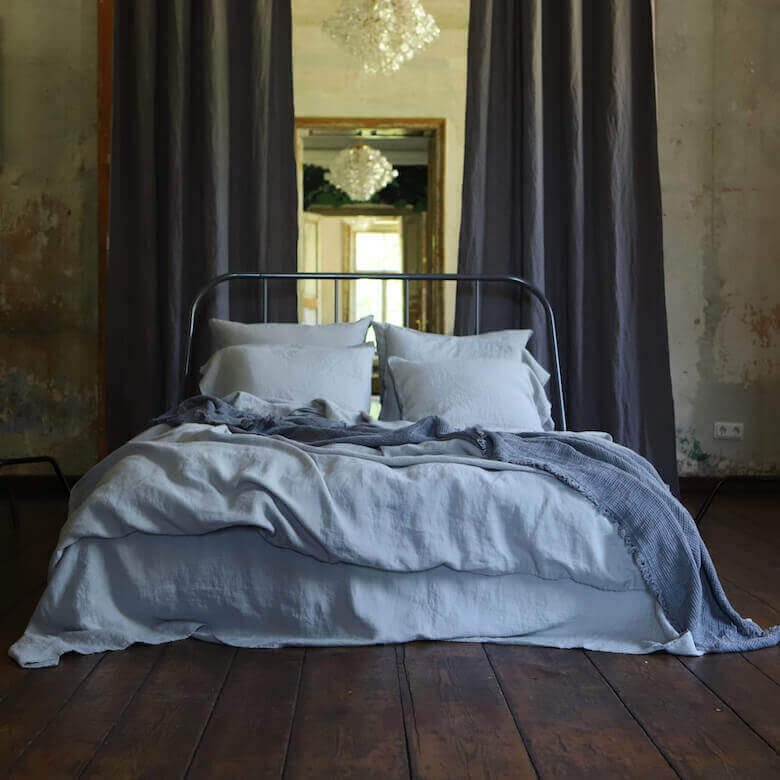 A linen duvet cover in a neutral shade will work with your existing bedlinens and give your bedroom a refreshing lift, if you can’t stretch to buying a whole new set. Linen will help regulate your body temperature, keeping you comfortable all through the night and helping you get a restorative night’s sleep. Perfect for Fall and Winter, layered with your existing blankets or throws if you want to get extra snuggly. Sometimes you can get the decorating equivalent of itchy feet – you want to change things and feel a bit restless, but can’t quite work out how to do it. Often it’s changing the peripheral, easily overlooked things that can inject new energy into a bedroom. 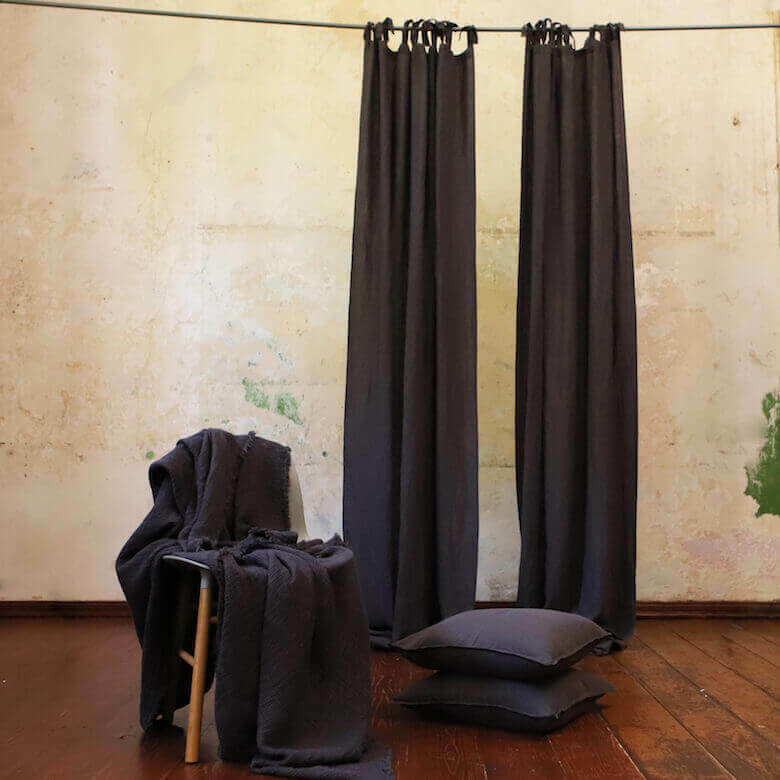 Bring the outside in with a new houseplant, light a scented candle, and switch to some linen curtains and a matching throw to create a dramatic new look at a reasonable price. 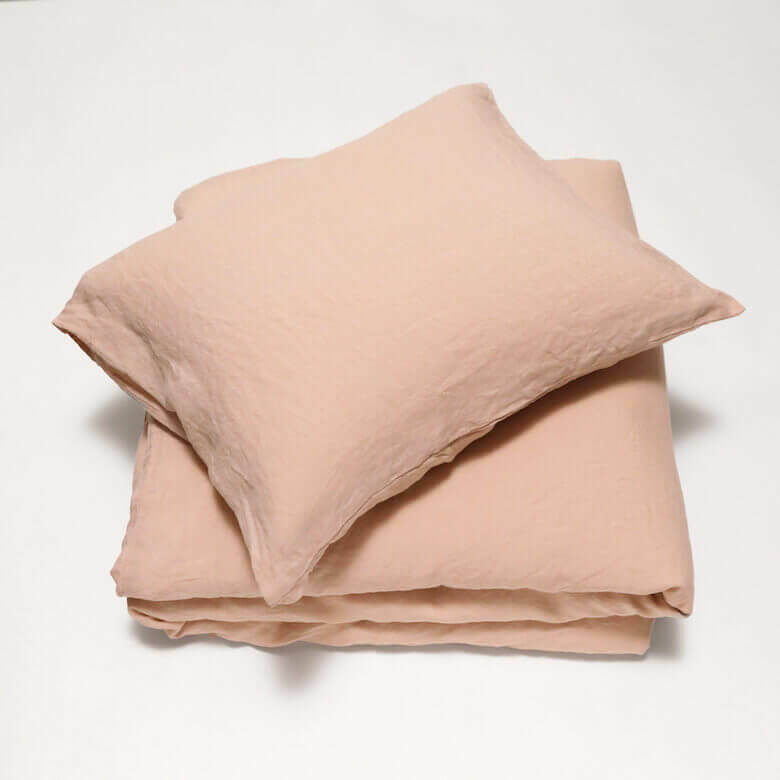 If your budget doesn’t stretch to new bedlinen, simply add some fresh new linen cushion covers to your bed cushions to create a comfortable, thought-through look. Cushions are a lovely way to add texture, colour or different patterns without overpowering the room, and because we only use the highest quality linen you can enjoy your cushions for years to come. In fact, our easy-to-care-for linen gets softer and more supple with every wash.